Playing in the freezing cold environment of local Gentiles Arena on all natural ice, the 1936-37 Parry Sound Shamrock’s were robust, hard-hitting players. Headlines often commented on the team’s scoring ability and tough players with such quotes as “Goals, goals and more goals was the order of the day at the Palace Arena when Parry Sound Shamrocks and Bracebridge said it with goals to the tune of 11 to 6 before 700 fans” and “The Shamrocks certainly caught the fancy of the fans this season and on their showing deserved the support they got. The first line of Anderson, Johnson and McKeown can really go to town when they hit their stride and should be able to make things hot for any of their opponents”. In 1937 the Shamrocks were finalists in the Junior ‘C’ Championships making them one of the leading hockey teams in Ontario. They competed against Aurora, Ontario in their final round. The Shamrocks played hard and fast but were not able to beat the Aurorans. The Parry Sound NorthStar reported that “Bill Corrigan- Manager and Randall Forder- Coach brought home a championship and took the team through to the second round play downs. Lack of reserves and sickness in the regulars was the only thing that kept the locals from the C Championships, of this we are convinced”. The 1936-37 Junior Shamrocks played during the devastating fallout from the Great Depression and the pending outbreak of WW II. They were a group of gritty individuals and outstanding athletes. Reaching the Ontario finals at the Junior “C” level filled the Town of Parry Sound with pride. Many of the team members subsequently left hockey in order to serve in the war. At another time, several of the players may have pursued careers as professional athletes. The Shamrock team consisted of a number of hard nosed, rugged players. Ivan “Ching” Johnson was the team’s leading centre iceman and is also being inducted as an individual athlete this year. The Parry Sound NorthStar often raved about Johnson’s strength and fighting ability. One reporter stated “Ivan Johnson had more checks than a millionaire and every time he got the puck he had about three Auroran’s hanging on his elbows”. Johnson appeared in headlines often and was named the team’s Most Valuable Player. His stint with the Shamrocks helped Johnson develop into the great hockey player he became. In 1938 Johnson left the Shamrocks, much to the team and coaching staff’s dismay, and moved on from junior teams to the American Hockey League. He served his country in World War II, and then established a home in Windsor, Ontario, where he worked for the Chrysler Corporation until his passing on April 13, 1972. The Shamrocks would not be the local legends they are today without the help of Frankie Powell, team goalie and runner up for the Most Valuable Player title. Frank Powell originally played forward, but relinquished that position to step into the vacant position of goalie, considered a dangerous and brave choice as goalies did not wear masks in the 1930’s. Although Powell was new to acting as a goalie, he often wowed the crowds with his skills. The Parry Sound NorthStar reported that “The work of Frankie Powell reminds us of the man on the flying trapeze, jumping for, flopping on and kicking out the rubber from every angle”. Frank Powell left hockey to serve in the armed forces as a pilot in World War II. He was so good at flying; Powell was eventually offered an instructors position. When the war was over, Powell returned home to Parry Sound and worked as a lawyer along with Bruce Cunningham. This partnership eventually created Cunningham and Powell, an office still in practice today. Sadly Powell recently passed away. One cannot speak of the Parry Sound Shamrocks without mentioning Herbe Forbes. Forbes played defense and was often found chumming around with centre iceman and best friend Ivan Johnson. Forbes was repeatedly seen in the headlines with such comments as: “Forbes and White on defense played sixty minutes of hard fast hockey”. A local reporter once stated that: “Ivan Johnson and Herb Forbes were the sparkplugs of repeated ganging attacks, which seemed impossible to turn aside”. Herbe Forbes was another strong contender for the MVP award. Today he resides in Cobourg, Ontario. Justin McKeown, or “Duke” to his teammates, played with the Parry Sound Shamrocks until joining the armed forces in 1941. While in the war, McKeown acted as a Quarter Master, stationed in Europe, where he met his future wife Mary. Once the war was over McKeown and Mary moved to Parry Sound where they had their first two children, Robert and Margaret. Shortly after these births, the family moved to Scotland where McKeown secured work as a train conductor. Soon the couple’s third child, Ian, arrived. The family stayed in Scotland for another three years and then moved again to Parry Sound where they completed their family with the birth of daughters Anne and Janet. McKeown worked as a jail guard for the rest of his adult years. At the age of 64, he succumbed to cancer. Bill Demkiw was born in MacTier in 1917, but spent a great deal of time playing organized sports in Parry Sound. 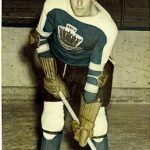 Shortly after playing for the Shamrocks, Demkiw joined the armed forces and was stationed at Camp Borden where he acted as a military policeman. Demkiw often participated in hockey but was actually better known for his talents in baseball. Demkiw was recruited at the age of 27 by the St. Louis Cardinals to play at their training camp. Aubrey Allsopp, inducted into the Bobby Orr Hall of Fame in 2005, said “Bill was one of the best baseball players I have ever seen come out of the Parry Sound-MacTier area”. Demkiw eventually found his way to Sudbury where he worked as a mechanical pipe fitter with INCO’s Frood Mine. It was here that he became a member of the Frood Tigers. While with the Tigers, Demkiw had the rare distinction of batting a 400 average; rarely achieved by the best baseball pros. Demkiw spent the rest of his years in Sudbury where he married Lucy Styles in 1945. Demkiw and Lucy had three children, Bill Jr, John and Linda a adopted a fourth, Edward. Demkiw passed away in October 2000. Leslie Fisher, or Les for short, was born in Penetang, Ontario in 1918. Fisher grew up in the Britt area and eventually found his way to MacTier, Ontario. 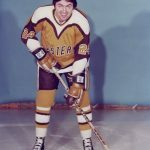 In his teen years Fisher played with the Parry Sound Shamrocks and eventually moved on to play semi professionally in Perin, Quebec, where he also worked for the Huron Gold Mines. In 1940 Fisher joined the army where he attended basic training. Fisher was never sent overseas as many believed his talents as a railway fireman would but put to better use by continuing to work for CP Rail. It was during this timeframe that Fisher met his future wife Emma, who was working as a school teacher in Britt, Ontario- a town Fisher often visited as his grandparents were residents. Fisher continued working for CP Rail as a fireman and eventually worked his way up to engineer. Fisher and Emma were married and gave birth to five children, Blain, Warren, Kent, Darcy and Cheryl. The family made MacTier their home. 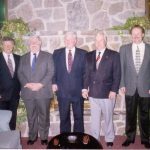 Throughout the years Fisher attended local games in MacTier and Parry Sound and remained highly involved with local hockey both playing from time to time and aiding in the organizational efforts of the club. Fisher passed away on October 16, 1995. Bernard Frederick Hobourn or “Bun” to his family and friends was born in Parry Sound, Ontario in 1912. Hobourn was an avid hockey fan and spent his time with the Shamrocks acting as the team’s trainer. In 1941 Hobourn was married to Beatrice and began working at Defence Industries until he joined the armed forces where he acted as a gun fitter. After being discharged Hobourn worked for Moffat Brothers Plumbing, Orenda Engines and Parry Sound Water Works until he retired in 1977. Hobourn spent his time watching the new crop of Shamrock players at the local arena. Hobourn passed away in 1998 and is survived today by his son Ron. 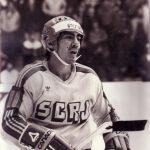 Randall Forder, or “Ace”, acted as the team’s coach and was admired by many in the Parry Sound Area not only for his coaching skills, but also for his own achievements in hockey. Many locals today remember Forder as the famous “left handed goalie” who began playing in the local Baptist Church League. Prior to coaching the Shamrocks, Forder defended the net during the Memorial Cup Championships in Newmarket, which he and his teammates won in 1933. In honour of this achievement, Forder received a gold watch from the town of Newmarket and honorable mention in the Hockey Hall of Fame in Toronto, Ontario. Bill Corrigan was born in Ireland in 1890, into a large family of 9 brothers and two sisters. In 1912 Corrigan immigrated to Canada to find work. Once in Canada, Corrigan began working as a stable boy at Belleville Estates in Brantford, Ontario. It was here that Corrigan met his future wife Mary Jane, an immigrant from Scotland and maid at the Belleville Estate. After an unsuccessful first date – Mary Jane stood Corrigan up and sent someone else in her place – Corrigan persevered and the couple married in 1914They had four children, Rose, Bill, Doug and Jack. The family moved to Parry Sound in 1924, where Corrigan began working on the railroads. In 1928 Corrigan signed on as a trainer for the Parry Sound Shamrock teams and in 1936, after the resignation of Charlie Demick, graduated to team manager. Corrigan continued his involvement with the Shamrock’s organization for many years until he passed away in 1950. The 1936/37 Parry Shamrocks line up also included players Sam Hearst, Neil Depew, Bing Anderson, Bob McCallum and Gordon White; Red Ferguson – Assistant Manager; and Dudley Robinson – Assistant Trainer. 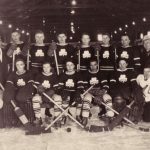 While little information could be found about these team members, they should not be forgotten as they all contributed greatly to the success and legacy of the 1936-37 Parry Sound Shamrocks. The Shamrocks competed at the provincial championship level and one of the Shamrocks players pursued a full-time hockey career. To the members of the Parry Sound community these men are legends. Without these individuals Parry Sound would be a very different place. The late Doug Orr once said that he can only remember fragments of the games played by this team, but what he could remember was great. Doug and many other community hockey players grew up aspiring to play like these men. 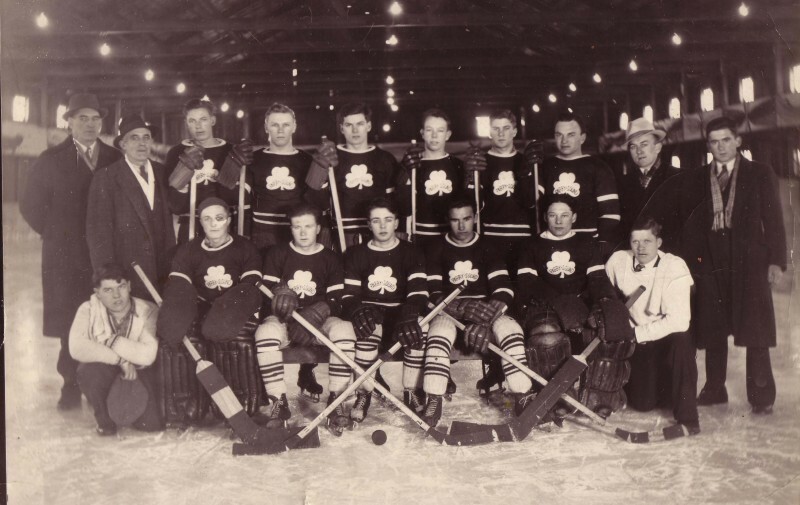 1936-37 Parry Sound Shamrocks transcends the skill and athleticism of this collection of case-hardened men who experienced the ravages of a ‘world depression’ and the outbreak of a World War. Their individual and collective accomplishments unquestionably meet the criteria for Induction”. For providing the town of Parry Sound with a group of strong role models and legends, for their bravery and integrity and for their indisputable talents in the sport of hockey, the 1936/37 Junior ‘C’ Parry Sound Shamrocks are more than deserving to take their rightful place as the first team to be inducted into the Bobby Orr Hall of Fame. 1936-37 Junior Shamrocks, we salute you.